In this gallery you will find images of cakes that we have made. Chef Yener may or may not make tutorials of these cakes but if you would like to see any of these cakes made into tutorials, you can show your interest by liking the cake with the Like button (the one with the heart icon) on the cakes page. If Serdar is going to make a tutorial from one of these cakes, he will do his best to make the ones that are most in demand first. The purpose of this gallery is to create an online catalog of Yeners Ways cakes, provide inspiration and ideas, as well as give us a sense of what people would like to learn so if you see something that interests you, be sure to click that like button and leave a comment. 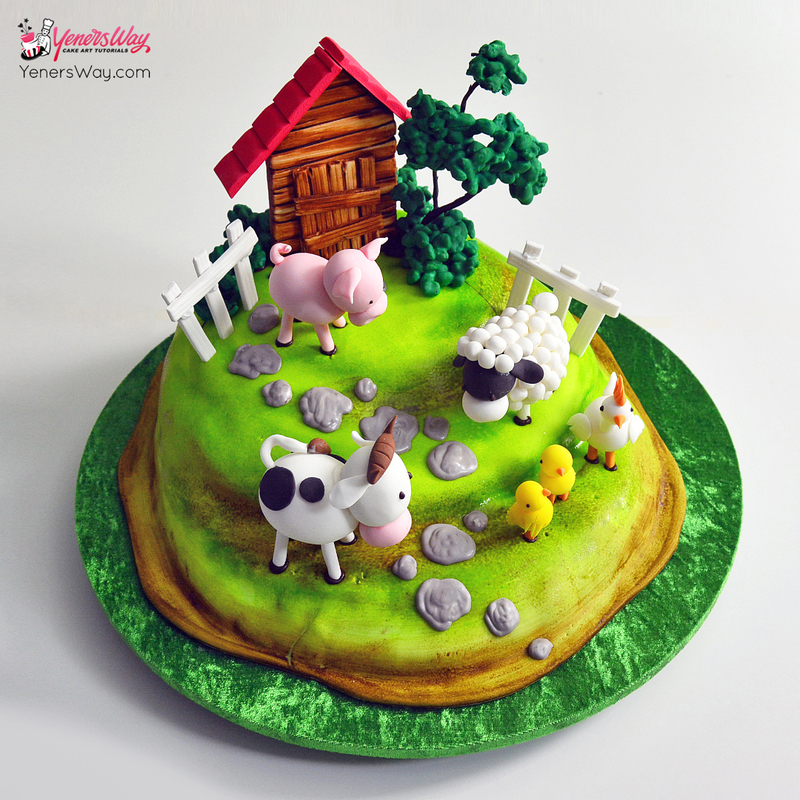 A farm cake with cute animal figurines and a barn. 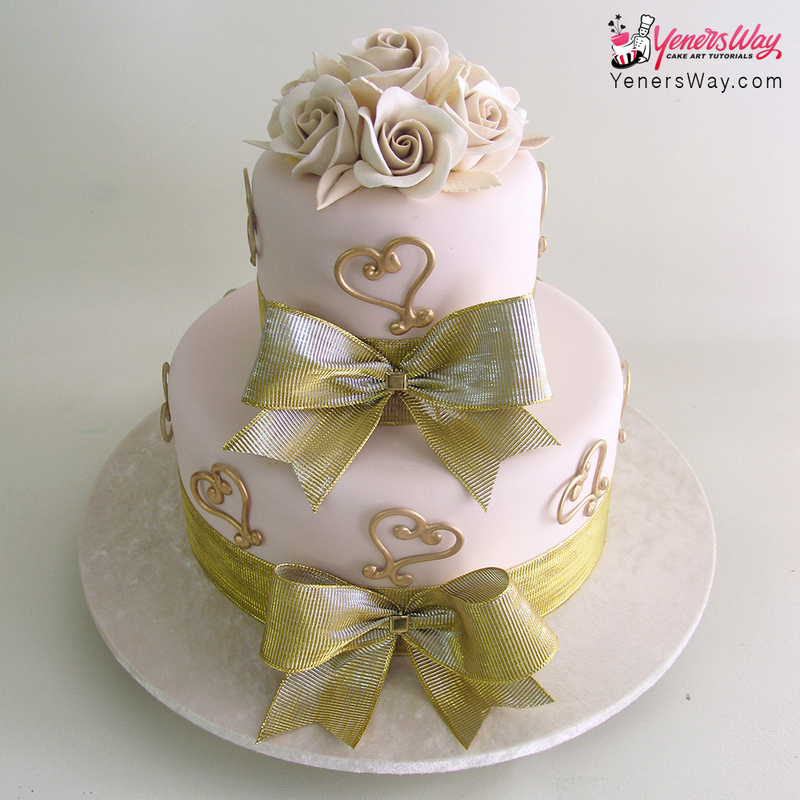 Wedding cake with thick gold bows and curly hearts, topped with roses.